We’ll share a challenge, you’ll have two weeks to make and share a dish using the #MiniMoFo tag on Instagram, Twitter, Facebook, or comment here with a link to your blog. That’s it! We’ll feature your signature dishes as we go and do a round-up at the end of each challenge. You don’t have to do the MiniMoFo challenges to participate in VeganMoFo. You can participate in MiniMoFo and not in the full month. Challenge 2: Who’s your “foodie crush”? This fortnight, make something by a vegan chef or blogger you really admire. Will it be one of the big-hitters like Isa, Terry or Chloe? Will it be another member of the Vegan MoFo community? The choice is yours! Whatever you choose, remember to use the #MiniMoFo hashtag and share your post with the rest of the community! The first challenge of MiniMoFo is all done and dusted. Thanks to all of you who shared your signature dish! Here’s a round up of the mouth-watering contributions. 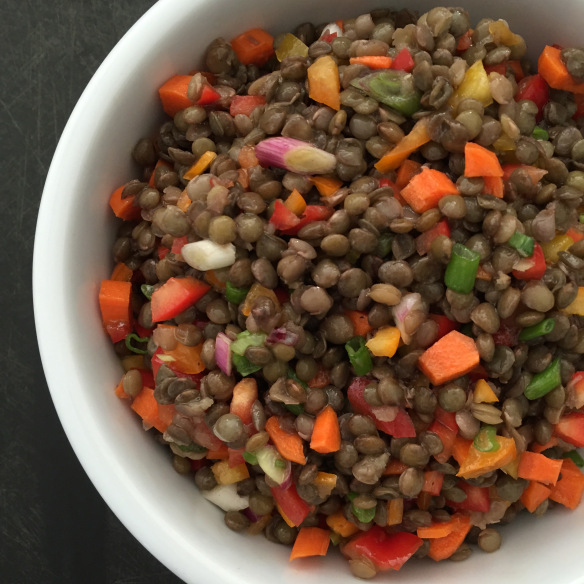 Lisa shared the recipe for this enticing lentil salad, which would be perfect for a light lunch or as a side dish. It looks delicious! Doesn’t this look incredible? 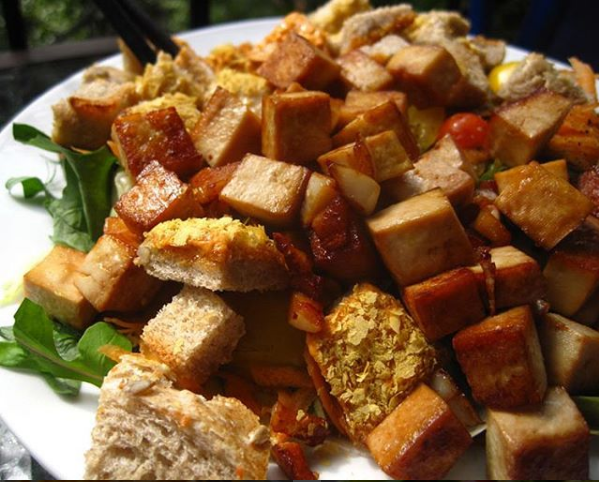 Babette shared this tofu, vegetable and crouton salad, and we could happily eat this right now! 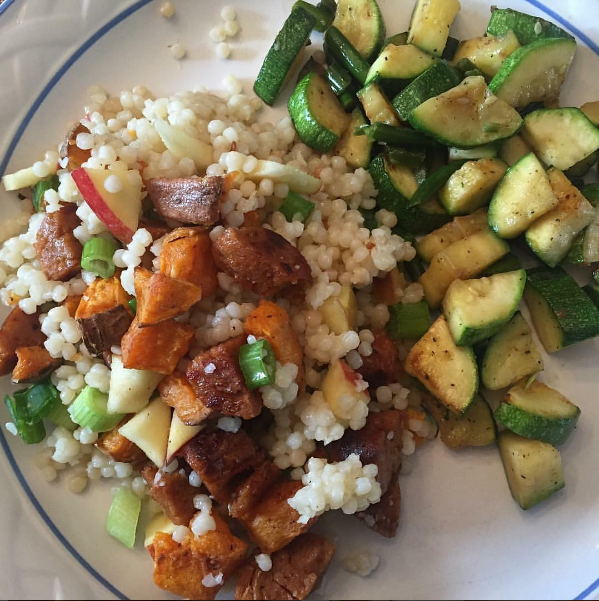 Nicole gave us her current favourite dish: Israeli couscous, sausages, apples, sweet potatoes and spring onions. Bonus points for the homemade sausage! 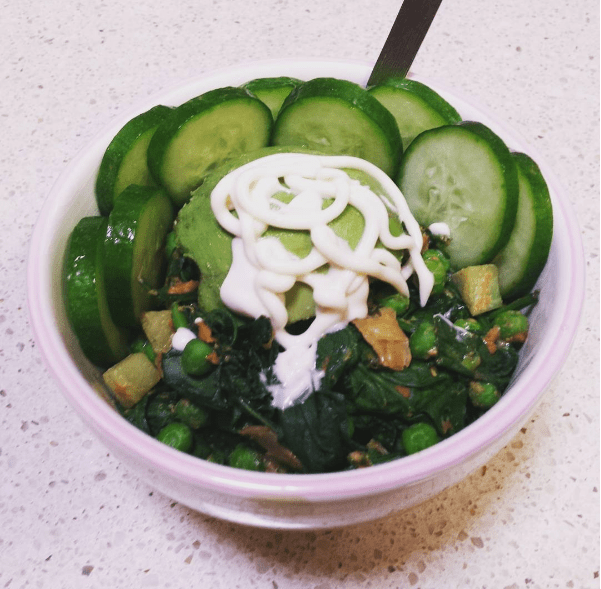 Don’t you feel healthier just looking at this green bowl from Susan? The blue cheese dressing on top sounds incredible! 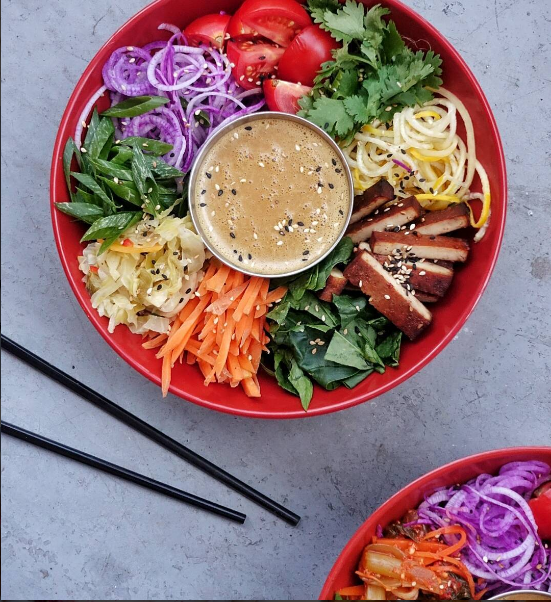 Just look at this rainbow salad! This is definite inspiration for the multicoloured prompt on Day 15 of Vegan MoFo. If your signature dish is curry, I definitely want to be friends with you! 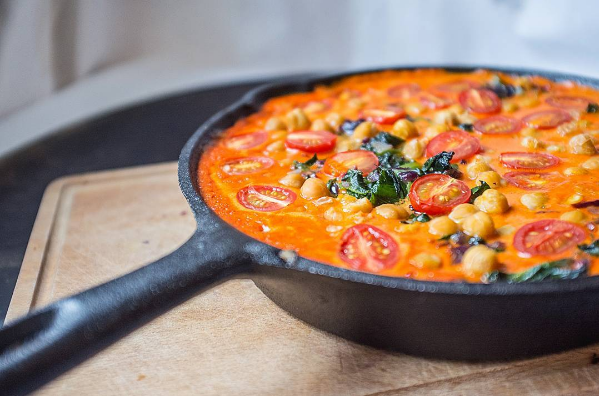 This roasted red pepper, chickpea and spinach curry looks spectacular, and perfect to share. And finally, this round up is a good way to introduce you to your Vegan MoFo organisers this year. We’re all so excited about MoFo that we had to get involved and tell you our signature dishes too! 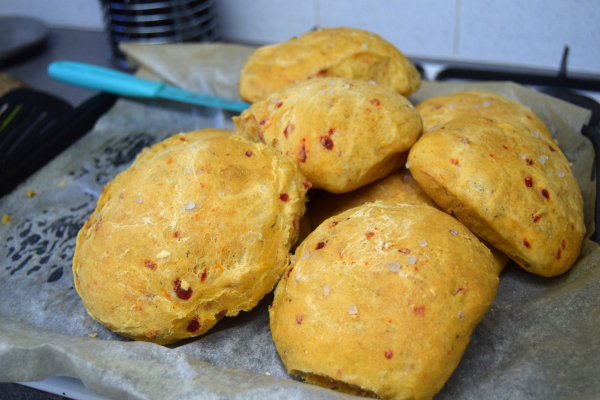 Emma shared the recipe for these red pepper and thyme rolls, which look phenomenal. 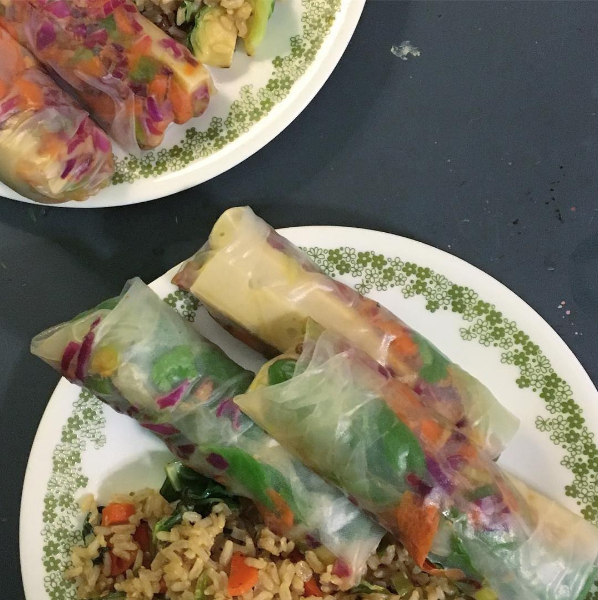 Nicole made these light and refreshing spring rolls, perfect for the last days of summer. 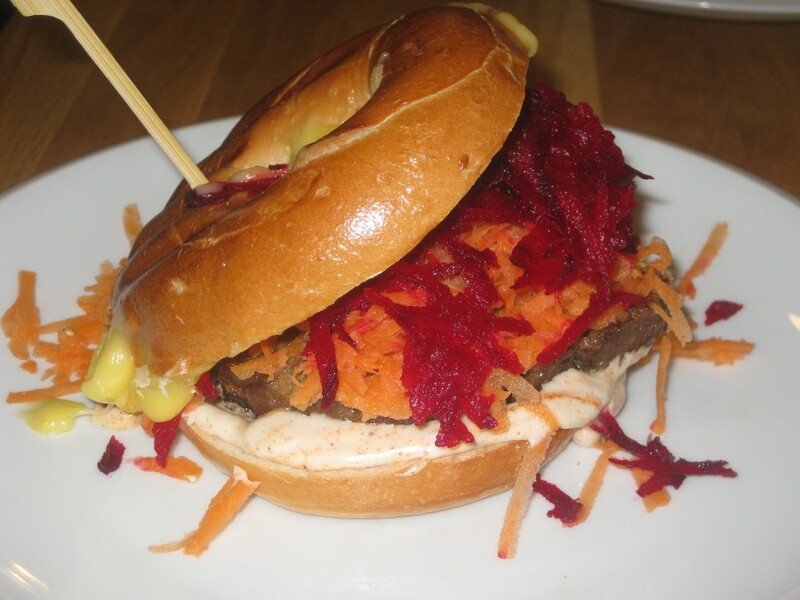 And Jenny cheated and shared the dish that she always orders when she visits her favourite cafe: seitan and cheese bagel. So, are you ready for MiniMoFo Challenge 2? We can’t wait to see what you all come up with! Stay tuned for the details tomorrow! If you’re like us and November can’t get here soon enough, then we have something exciting in store for you. Throughout the rest of September and October, we will be issuing three MiniMoFo challenges – these voluntary missions will get your VeganMoFo wheels turning and get us all ready for the big event! Challenge 1: What is your signature dish? Interpret the challenge prompt any way you like! What would “You on a plate” be like? What is your best dish? Make something with food that has your initials! 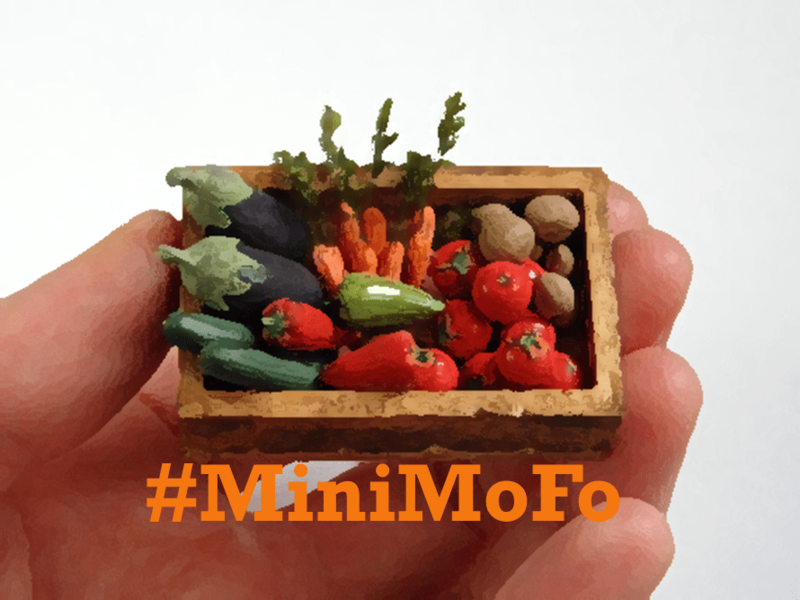 Don’t forget to use the #MiniMoFo tag when sharing your creation! It’s been a year since the last Vegan MoFo, and I’m sure some of you have been eagerly awaiting news of this year’s event! Well, the good news is you’ve not missed it – and you still have two months to prepare. 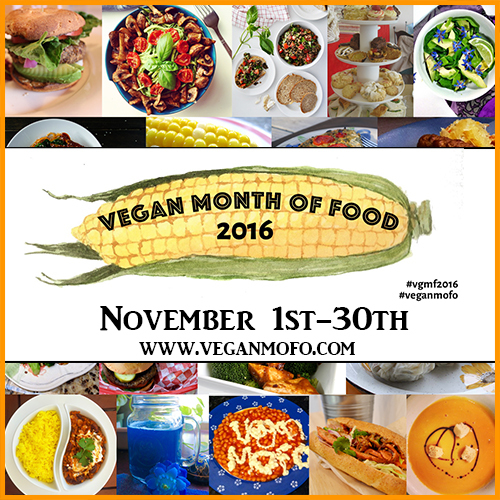 VeganMoFo 2016 will be held in the month of November. We hope this gives you the chance to explore different seasonal foods, embrace cooking for the holidays, and share with the rest of us your wonderful creations. 1) Weekly themes (which will be listed below!). You can interpret these themes whichever way you like, and use them to inspire your posts! 2) Daily prompts (which will be also listed below). These tie in with the weekly themes, but give you more specific ideas to follow. You can use all of them, or just a few! You can also participate on whichever platform you like – blog, Twitter, Instagram or Facebook, all participation is encouraged, just follow the #veganmofo and #vgnmf16 hashtags. More information will be released soon about sign ups, and other exciting bits, but in the meantime – get your cooking brain on! The themes and daily prompts are listed below. Remember – you can follow these as closely or as loosely as you like (or even choose your own). These are just ideas to get your creative juices running! 1st: Your favourite food – What is your favourite food? Make it and share! 2nd: How to make friends – What’s your go to “impress me” meal? 4th: Eating out – Where do you eat when you want someone else to cook for you? 8th: Far Away – If you dug straight down, where would you come out? Make something from that country! 12th: Dream Holiday Destination – what would you eat on your dream holiday? 23rd: Autumn/Fall Traditions – Are there any foods you traditionally make in this season? Week 5: 28th-30th November 2016 Holidays!